Posted on February 4, 2018 by Courtney. Read time: 2 minutes. 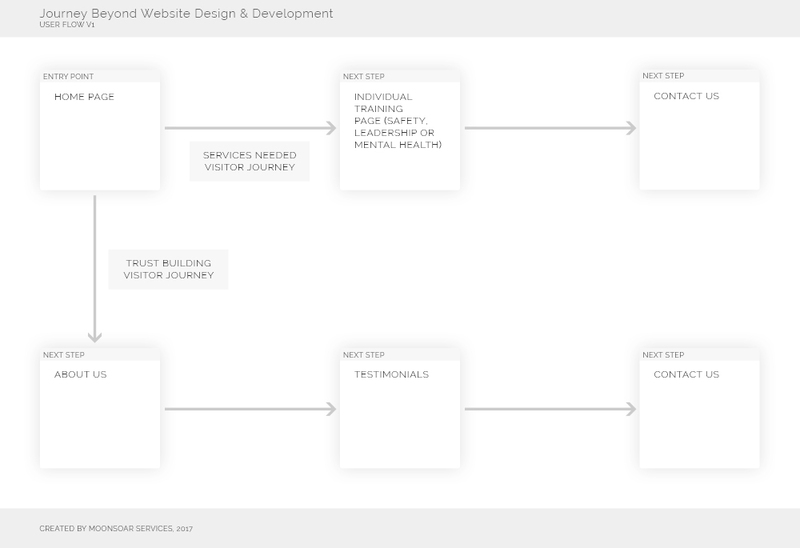 One of the steps in our website design process is creating and documenting a user journey that we want people to go through when they visit your website. This is typically done after we have defined website goals, and can be done in conjecture with defining a sitemap for your website. 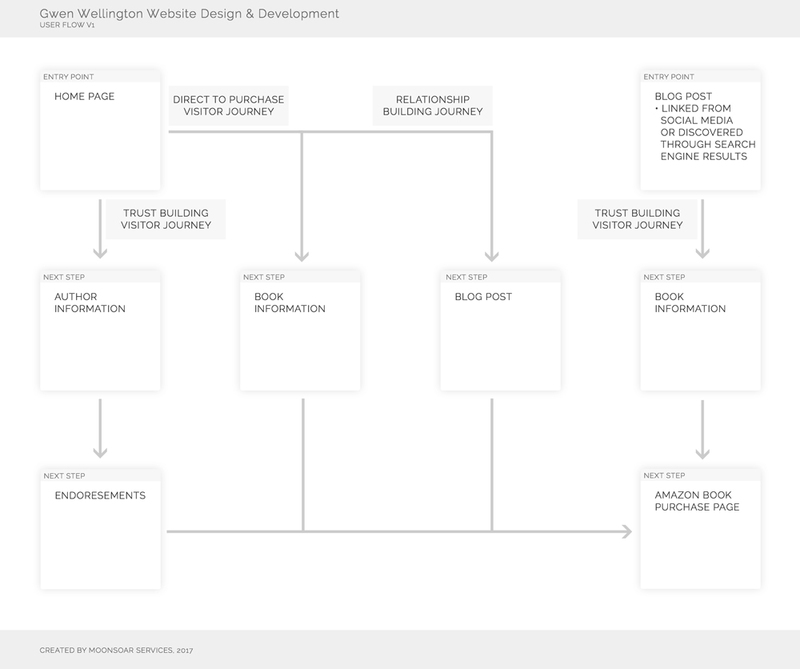 What we’re trying to do when we create a user journey is show the best paths for website visitors to travel down to complete your end goals for your website, and is unique for each project that we work on. Why do we create it before designing a website? Creating a user journey is the best way that we have discovered to know what calls to action should be on every page – from the front page of your website, to each individual inner page on your website. A lot of websites can have pages that don’t direct website visitors to another page, so when visitors get to that page they’re subconsciously wondering what they should be looking at next. Creating the journey before we design and develop your website helps us to know where exactly we want to direct a website visitor to next. 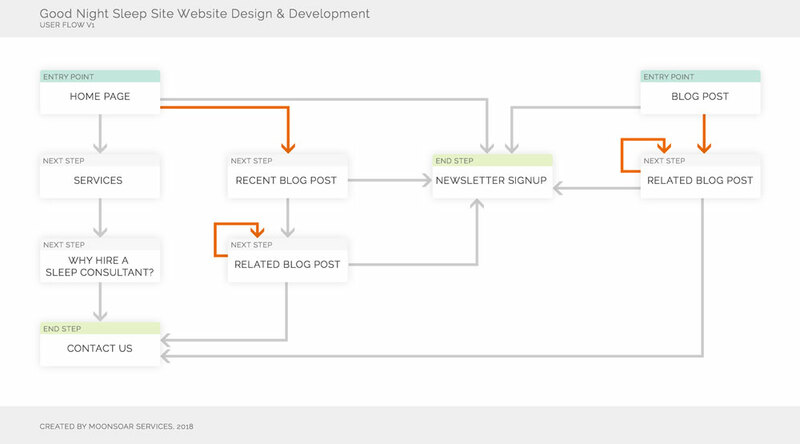 What is a “trust building” user journey and why is it included? Often one of the journeys we create is what we call a “trust building” journey. It’s unusual for people to make a purchase or reach out to a company the first time that they visit a website. Often they will want to know more about a company before making a commitment – this is to determine whether the company is legitimate, whether the potential client sees them as an expert in the field, and even to see if other companies or people have had good experiences with this company. During a “trust building” journey, we’ll often take website visitors through your “About” page, through blog posts, through testimonials, through a portfolio, or through customer testimonials. This is also why we like incorporating testimonials throughout your website – to help build social proof that your business is dependable and can help solve the website visitor’s problems. 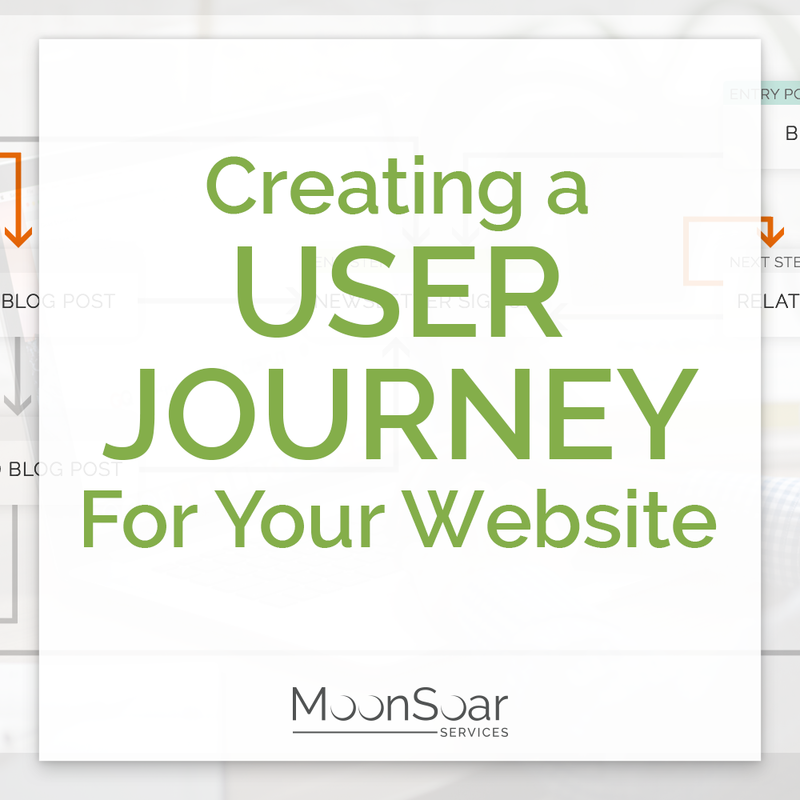 What do I do if I find my user journey isn’t converting anymore? 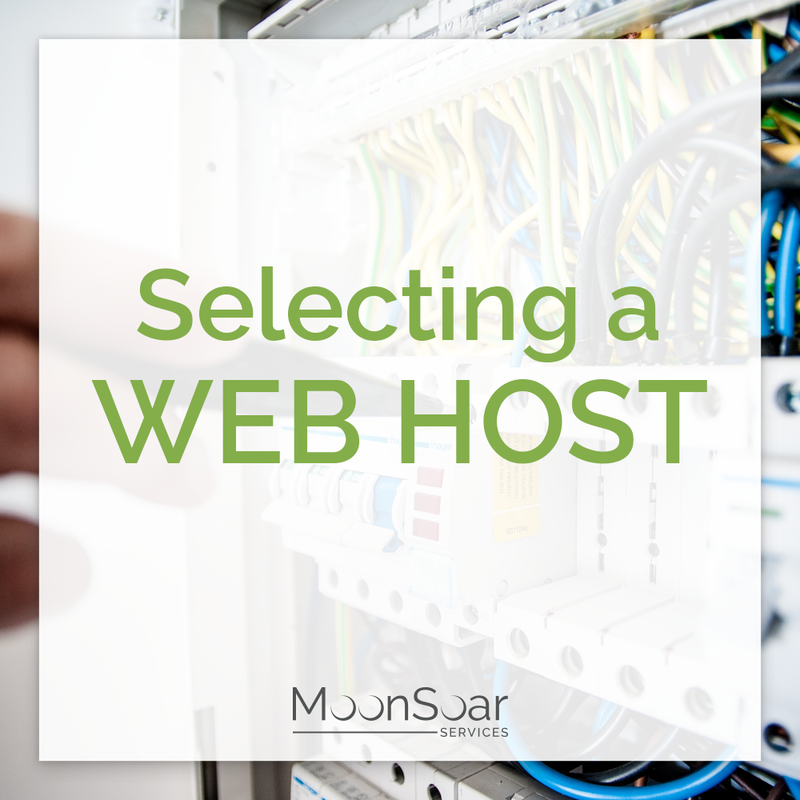 Over time, our behaviour of how we interact with websites does change; we get used to different patterns on the web and interact with website differently. Because of this, you may find that after a while your user journey isn’t converting like you want it to, or like it once was. 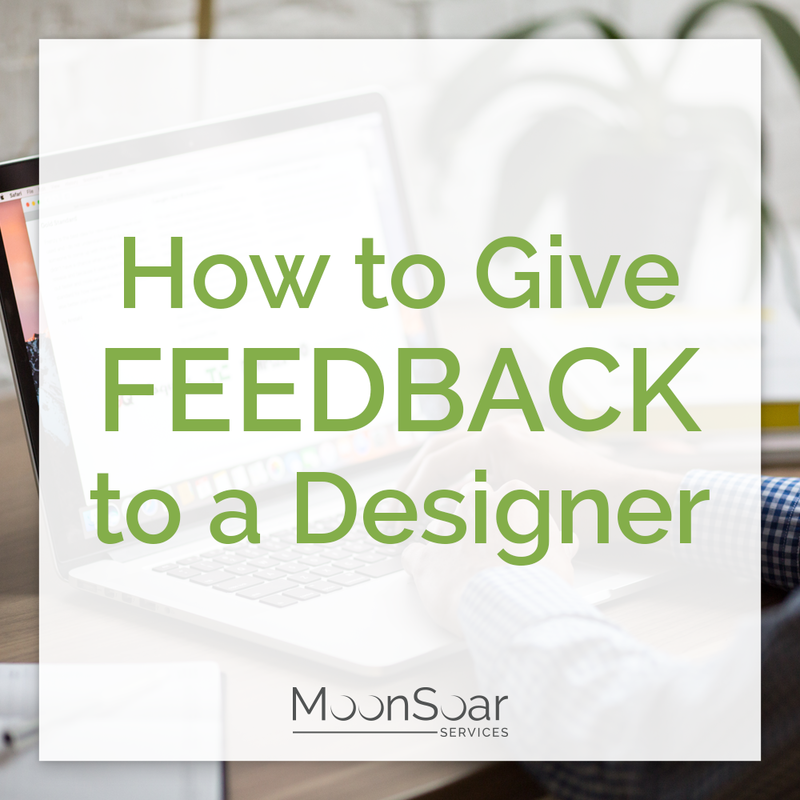 One of the most beautiful and most frustrating things about the website design process is that it can be an iterative process. This means that nothing is set in stone, and we can adapt to how our website visitors are active. At this point, it’s time to jump into Google Analytics, and see where people are falling off of your user journey. 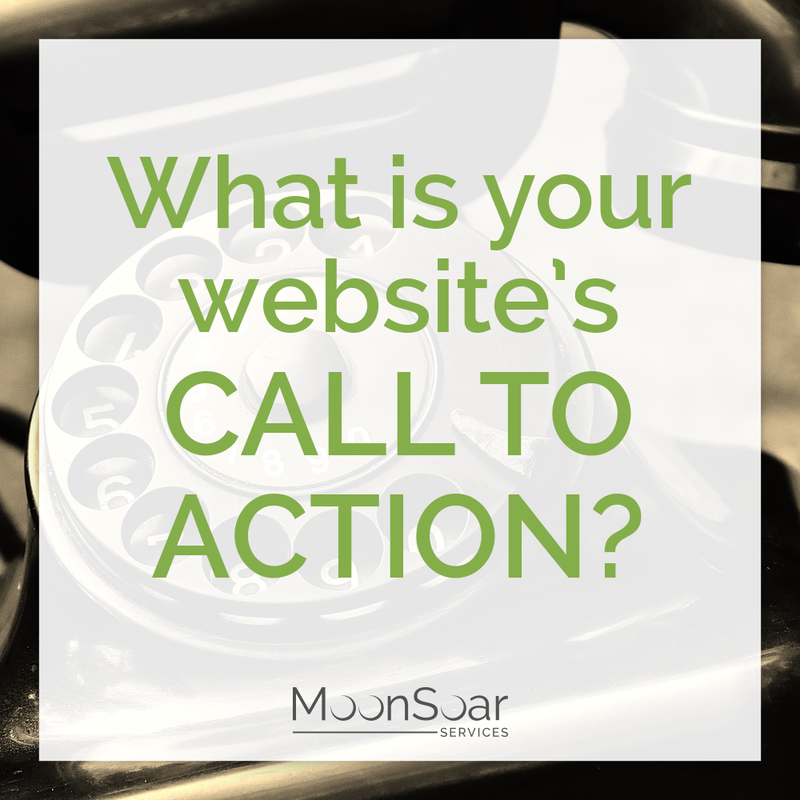 Once you know this, it’s time to start testing to see whether it’s the placement of the call to action button, the wording of the call to action buttons, or even reevaluate the content on the page (because it may be the case that the visitor isn’t even seeing the call to action). What do sample user journeys look like?